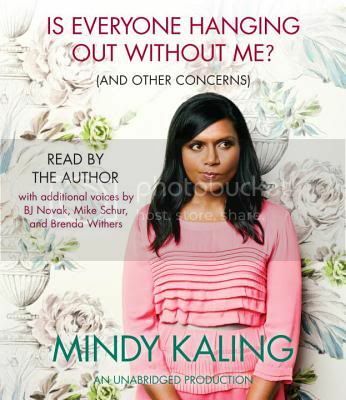 While not quite as laugh-out-loud funny as Tina Fey’s Bossypants – which Kaling herself references in the introduction – Is Everyone Hanging Out Without Me? is charming and extremely entertaining. Kaling is engaging, like spending time with a good friend who is willing to share anything and everything about herself, including embarrassing stories, like the time she stormed out of work like a spoiled child who didn’t get her way. Kaling’s narration works extremely well. She has a distinctive style and delivery, and as an actress as well as a writer, she has a good command of language, which works to the benefit of the listener. What is not always as well done had more to do with production than narration. There is not always a great differentiation between chapters and sections in a book, occasionally to puzzling results. Longer pauses or some other method of noting a change in direction in the text would have put the audiobook into five star category. Kaling is charming, both in her writing and narration, although the production itself was perhaps not quite as well done as it could have been. Still, I would recommend this overall. I really enjoyed this one. I wish it had been longer than 4.5 hours. I know, this and BOSSYPANTS could both have been longer and I would have been happy. She spoke at BEA last year and I thought she tried a little too hard, so I haven’t looked for the book. It sounds like I should give it a try. 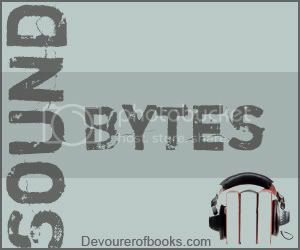 I LOVED Bossypants – I find humor works especially well in audio. I will definitely give this one a try. This seems like the perfect text for audiobook consumption. While I enjoyed reading Bossypants, I found the audiobook so much more fun. I think Kaling’s distinctive voice would add a layer of comedy to her writing. Can’t wait to take a listen!! I’ve been really excited to read this one ever since I heard her talk at BEA last year. I thought the audibook would be a good listen so I’ve been diligently watching for it at the library. Hopefully they get it in soon! I just downloaded Kaling’s book – I’m glad you liked it so I can really look forward to it now. This sounds like a fun read/listen. Too bad about the awkward transitions in the audio though. I want to read both this and Bossypants – I need more humor in my reading! Looking forward to checking it out.